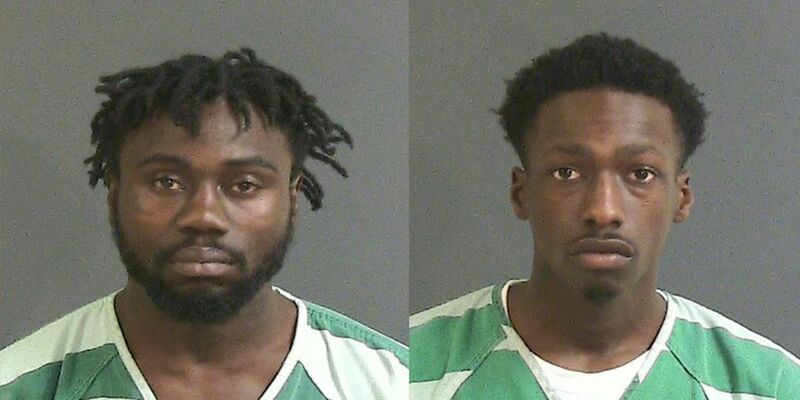 CHARLESTON, SC (WCSC) - Two men have been charged with attempted murder after they were in a foot chase with officers Monday morning in downtown Charleston, according to an incident report. Officers responded to 76 Harris Street around 10:45 a.m. Monday in reference to shots heard in the area. Dispatch then received a call that a man involved in a shooting ran toward 49 Harris Street, according to the report. Officers then responded to the house and saw Jhmell Johnson and Jimell Simmons leave the back door of the house, the report stated. When one officer asked Johnson to speak with him, he began walking away and then ran toward Harris Street and then toward Johnson Street, the report stated. After the pursuit, Johnson obeyed the officer’s command to stop and was handcuffed on America Street, the report stated. Jimell Simmons was then later detained in the first block of Harris Street, the report stated.